Luckily for you, UCC also likes waltzing quite a bit, and the Creative Arts Societies are throwing the 27th annual Strauss Ball on the 20th of January in the Gresham Metropole Hotel. Fashioned after balls of the 19th century, the UCC Strauss Ball gets its name from Johann Strauss I and his son Johann Strauss II, German and Austrian composers who are regarded as popularizing the waltz in 19th century Vienna, the city of music. Balls of that time were more than a time to dance; similarly to modern clubs they are an excuse to see and be seen by the elite (or not so elite), to wear the latest and outrageous fashions, and to possibly procure a potential mate. 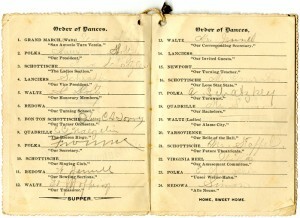 Dance cards were provided by the host to the ladies in attendance. 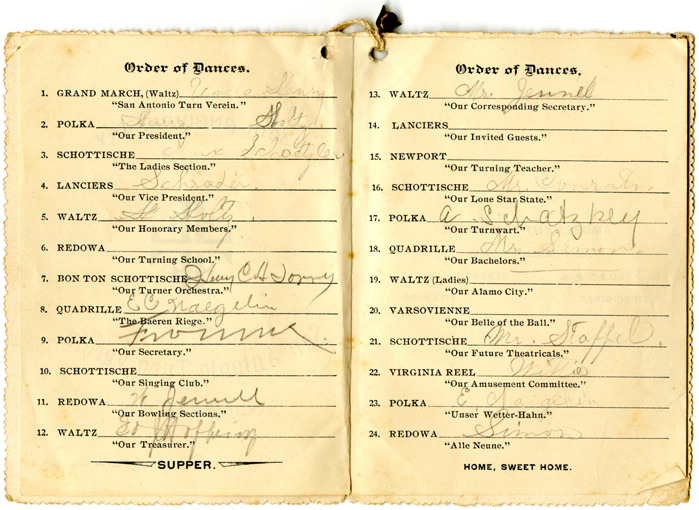 These were small booklets which listed the type of dance in the order they occurred, and were to be filled out by men who approached the ladies requesting a dance. This provided a way to remember the social engagements for the night, and for a polite way to decline a suitor, citing that her dance card was already full. Dance cards (or “Ballspenden” in German) eventually grew more and more elaborate, and ladies carried them in ostentatious, bejewelled cases that hung from their wrists or waists. In keeping with the period, a dance card will be presented to each lady (and gentleman) at UCC’s Strauss Ball. Social dancing was an extremely important aspect of 19th century Europe. The Regency Era (1811-1837) featured form dancing similar to modern line dancing, where partners were an arm length’s apart. 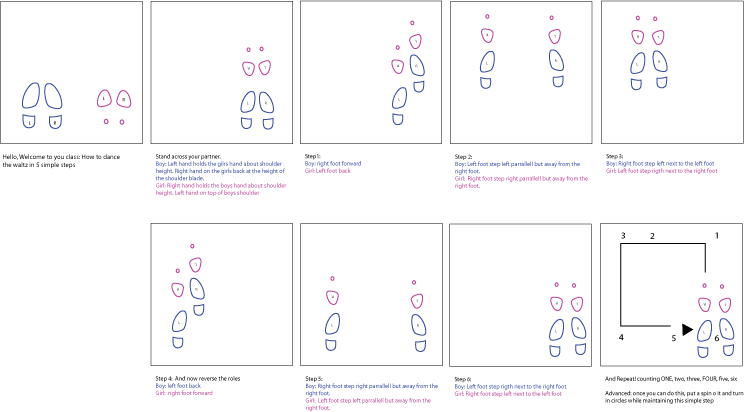 In the Victorian Era (1837-1860′s), the waltz took a main hold. The closeness of the partners shocked the elder generations, calling it licentious and overly sensuous. As a result, more lively dances such as the Galop and the Polka started to become popular to dilute the romance of the waltz. As the 1900′s progressed, the lower American classes started popularizing Ragtime music: much faster and animalistic dancing which quickly spread to Europe. Swing dancing quickly followed with the emergence of jazz in the Roaring Twenties. The UCC Strauss Ball features a two hour chocolate and punch reception at the Metropole Bar, followed by a three-course meal. The Cork Pops Orchestra will play a two hour set of waltzes, tangos, and swing dancing, followed by a DJ playing the latest dance tunes of our generation.